Local on-camera credits include several projects with Investigation Discovery Channel. More familiar with the stage, Steven has worked most recently with the Folger Theatre Company serving as understudy for Cyrano, The Comedy of Errors and Henry VIII. He also starred in American Century Theatre’s production of Paddy Chayefsky’s The Tenth Man. Originally from the Midwest, Steven has been in the Washington, DC area for a little over a year and a half. 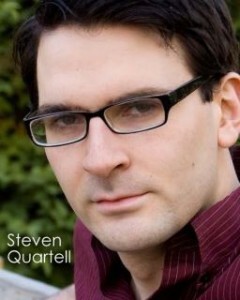 Steven holds a 2008 BFA degree in acting from Millikin University.